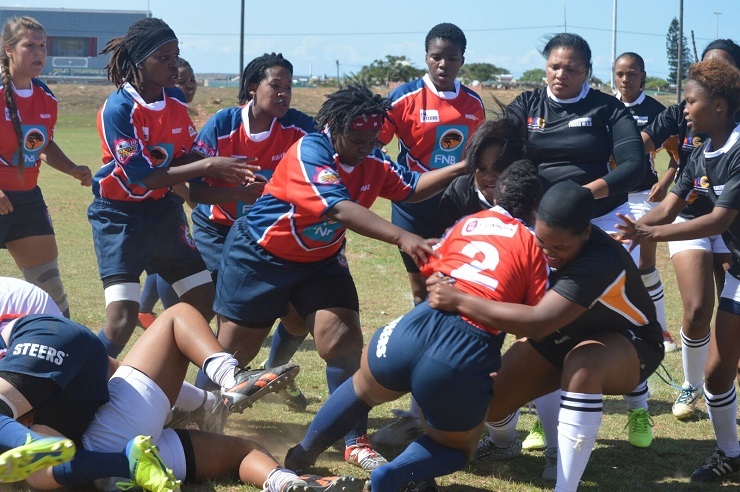 University teams from around the country head to Nelson Mandela University for the University Sport South Africa women’s sevens tournament that takes place this weekend. Driven by former rugby manager Melissa Awu, 14 teams will go head to head in a battle for the overall title on at South Campus Saturday. Awu explained that the teams would be divided into four pools, with the winners of each qualifying for the semifinals of the one-day competition. The Madibaz, along with Walter Sisulu University, have entered two teams each. The hosts’ first team, along with University of Johannesburg, Walter Sisulu B and University of Venda, make up Pool A. Their second team were drawn alongside University of Fort Hare and Walter Sisulu University A in Pool D.
The tournamentstarts with the match between UJ and WSU at 8am, with the Madibaz next on at 8.20am. The final will be played at 5.20pm. With defending champions University of Pretoria absent from the line-up, Awu said she expected an nail-biting display of rugby in which any one of the 14 teams could walk away victorious. “With Tuks not in the running this year and many teams featuring national players, anyone could take this tournament,” she said earlier this week. Despite finishing in the lower half of the log last year, Awu said the Madibaz would be going into the weekend “all guns blazing”. With the national selectors set to attend, she said the tournament would offer valuable exposure for the increasingly popular discipline of women’s rugby. She said it was also a great experience for the university and the perfect opportunity for their teams to show off their skills to the rest of the rugby fraternity.